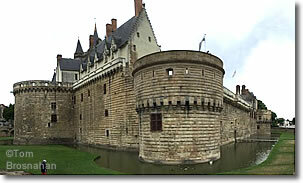 A medium-sized city at the western end of the Loire, Nantes has lots to see and do. factory, now the Lieu Unique. Look also for the medieval Porte Saint-Pierre, the 18th-century Opéra Graslin, and the proto-shopping mall of the gorgeous Passage Pommeraye (1843). La Cigale, termed by some "the most beautiful brasserie in the world," is an Art Nouveau masterpiece (1895). This restaurant is just across the square from the Opéra Graslin and well worth a visit, with high quality food and service. The Place du Commerce is Nantes' main commercial square, with the Palais de la Bourse. Although there's not much there of touristic interest, you'll pass through frequently if you ride the tram, a great way to move through Nantes. For food and crafts, you can check out the Marché Talensac. It's north of the city center, near the Place du Pont Morand. 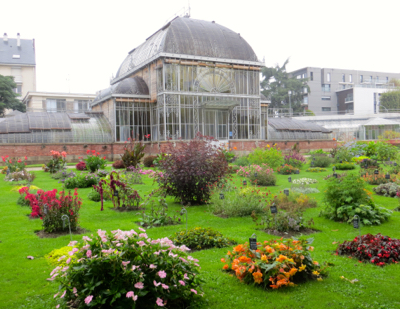 As for museums, Nantes has plenty: the Musée d'Histoire de Nantes (in the Château des Ducs de Bretagne), Musée d'Art, Musée d'Histoire Naturelle, and even a Planetarium. Above, Château des Ducs de Bretagne, Nantes. 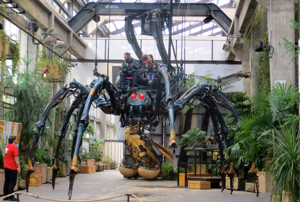 Below, Giant mechanical spider at Les Machines de L'Ile.